Port Aransas is located on Mustang Island off the Texas coast of the Gulf of Mexico, near the Corpus Christi Ship Channel. 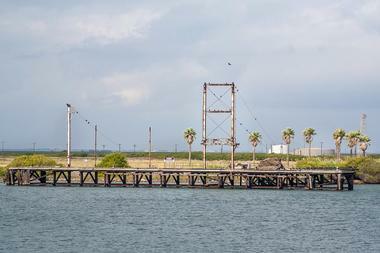 A wide variety of beachfront attractions are available for visitors, including parasailing, skydiving, and aerial tour experiences over the Coastal Bend’s waterways. Chute ‘Em Up Parasailing has been offering high-quality Texas Coast aerial adventures for the entire family for more than 15 years. The company’s guided parasailing excursions embark from the Lydia Ann Channel and travel along the Gulf of Mexico, showcasing famous area sights such as the Aransas Point Lighthouse, Turtle Cove, and the shipwreck of the USS Worthington. All flights are guided by the company’s trained boat captains and allow riders to reach heights of up to 300 feet above sea level. 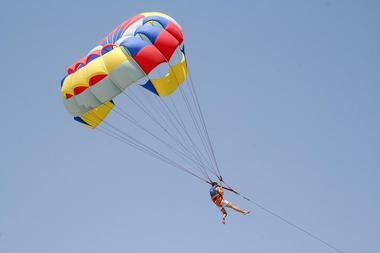 State-of-the-art safety features make excursions ideal for beginner parasailers, though trips are not recommended for visitors with back or neck injuries. Add-on packages allow visitors to rent GoPro cameras for high-definition flight recordings. 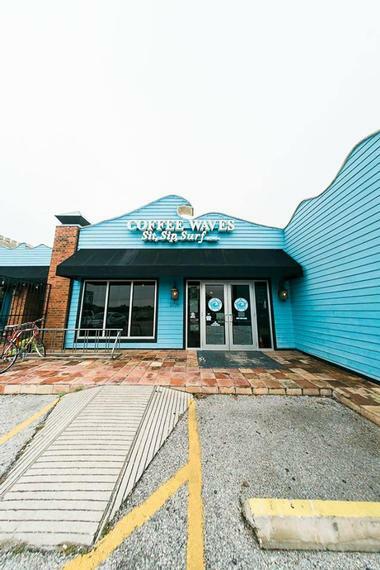 Coffee Waves is a regional Texas coffeeshop franchise boasting three locations in Alameda, Corpus Christi, and Port Aransas. Gourmet coffee concoctions are made from brews ranked among the top in the world and include hot and iced lattes, mochas, cortados, macchiatos, and cappuccinos. Pastries crafted from locally sourced ingredients are served, along with freshly prepared paninis and smoothies. The chain also serves its in-house gelato in more than 90 rotating flavors and showcases live music from local musicians on Friday and Sunday evenings. Works by local bay area artisans are also displayed within the beach-themed cafe, which has become a popular community gathering spot. 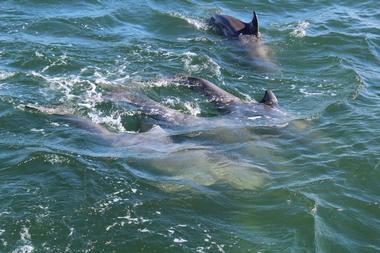 Dolphin Watch Nature Tours have operated in the Port Aransas region for more than 30 years and offer wildlife watching experiences aboard the Mustang, a United States Coast Guard-certified trimaran that can seat up to 100 passengers at a time. Two large decks are offered for riders, including a captain’s level upper deck and a covered lower deck with a built-in touch tank for up-close experiences with marine life. Sunset cruises provide offshore panoramic horizon views, while educational nature tours offer opportunities for students to learn about marine ecology and coastal history. Private charters for weddings, family reunions, and corporate outings are also available. Hot Spot Fishing Charters are led by Captain Arthur Serrano, an experienced saltwater deep sea fisherman and enthusiastic area tour guide. Charters are available for rental for four, six, eight, and 10-hour reservations, with novice and extreme experience packages available. Trips are presented aboard the company’s 36-foot Yellowfin center console vessel, which features three engines with a combined power of 750 hp. Complete fishing supplies are provided, including rods, reels, lures, bait, and tackle, and fishing techniques and advice are provided by experienced crew members. 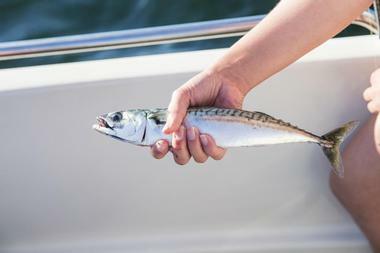 All charter participants must possess a valid Texas Saltwater Fishing License and provide their own food, beverages, and cover-up gear for the day. Mustang Island State Park is a 3,954-acre state park that is named for the wild mustangs that frequented the island during the 19th century. The park showcases more than 5 miles of pristine beachfront and offers a variety of outdoor recreational activities, including swimming, surfing, hiking, and mountain biking. Kayakers may explore the Mustang Island State Park Paddling Trail, which incorporates more than 20 miles of trails along the Corpus Christi Bay shoreline and offers some of the state’s best opportunities for shallow-water fishing. 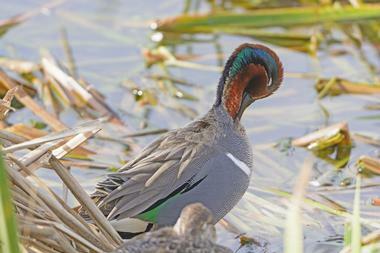 Birdwatching is also popular on the island, which is home to more than 400 unique bird species. There are 48 fully equipped campsites available for visitor use, along with more than 300 primitive drive-up sites. 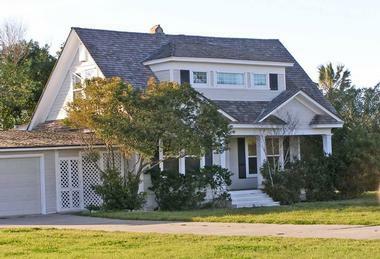 Port Aransas Museum preserves an early 20th century kit house, which was donated to the Port Aransas Preservation and Historical Association in 2007 and was one of the state’s most endangered structures at the time of its donation. Today, the relocated and renovated house is operated as a public museum, offering permanent exhibits on the area’s history and culture. Major artifacts showcased include the original fourth-order Fresnel lens from the nearby Lydia Ann Lighthouse and a collection of more than 12,000 original civic photographs and documents. The museum also offers guided tours of several nearby historical attractions, including the Little Chapel on the Dunes, constructed in the 1930s for Texas’ Poet Laureate, Aline Carter. 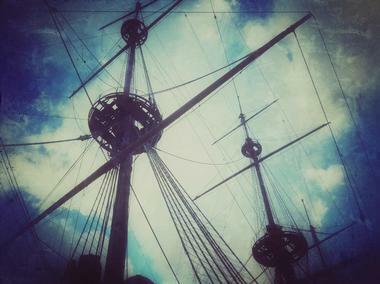 Red Dragon Pirate Cruises offer swashbuckling interactive entertainment aboard a 70-foot replica pirate ship with 10 digitally recreated cannons. Though the vessel is designed to mimic the pirate boats of the 17th century, and it boasts modern amenities such as a full-service concession bar and full restroom facilities. Cruises navigate the waters of Aransas Bay and feature live entertainment, including sword fighting, dancing, and naval battle reenactments. Standard cruises are available for participants of all ages, with adult gaming and beverage cruises offered regularly for visitors aged 21 and older. Private boat rentals are also offered for weddings, field trips, and birthday parties. 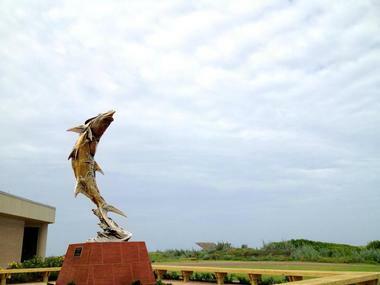 Roberts Point Park is a 50-acre peninsula park located along the Port Aransas waterfront near the Corpus Christi Ship Channel, which serves as a regular harbor for more than 250 boats. The park contains a special event pavilion that frequently hosts local fishing tournaments and weigh-ins and may be rented for family reunions and community events. The Patsy Jones Amphitheater presents the Sunset Sounds concert series every second Friday between April and October and hosts regional festival performances and talent competitions. Granite jetties and a lighted pier on the harbor are popular fishing spots, and a 1-mile bulkhead serves as a walking, jogging, and cycling route. Other park features include an observation tower, an educational xeriscape garden, a children’s playground, and basketball, soccer, and volleyball fields. Skydive South Texas is the state’s only tropical skydiving adventure, embarking from Mustang Beach Airport’s Hangar 1. Skydiving excursions are available for novice and experienced skydivers aged 18 and older, led by certified skydiving instructors. Skydiver safety is emphasized, with all reserve parachutes inspected and recertified every 6 months by licensed technicians. Packages are available for beach parachute landings and remote skydives over nearby San Jose Island, with return ferry fare included as part of all excursions. Professional still photographs and videos of excursions may be added to all skydiving packages for an additional fee. Private skydiving excursions may be booked for birthdays, wedding parties, and team building events. Sunny Ray Cruises embarks from the Port Aransas harbor and offers sailing excursions around the waters of nearby Mustang Island and the surrounding Gulf of Mexico region. All cruises take place aboard the Sunny Ray Manta Catamaran, which has traveled the waters of more than 16 countries and logged 18,000 nautical miles. Cruises are helmed by United States Coast Guard-certified Captain Daniel Bond and United States Navy Admiral Marty Seidel Bond, allowing participants to observe local populations of dolphins, sea turtles, and seabirds. Standard cruise amenities include sunbathing trampolines, easily accessible swimming platforms, and complimentary beverages and appetizers. Brunch and sunset cruise packages are also offered, along with private yacht rentals for groups of up to six people. 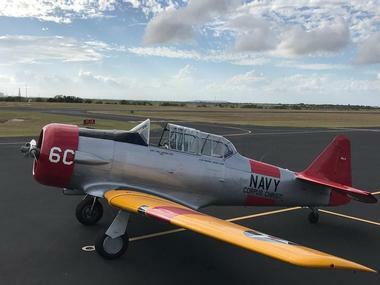 Texan Warbird Adventures offers opportunities for tourists to fly the Port Aransas Coastal Bend in a vintage North American T-6 Texan Warbird, a noted World War II-era combat trainer popularized by the United States Navy. The historical Warbird, which was retired from military use in the 1980s, is one of approximately 600 still in operation today throughout the world. All flights are led by fourth-generation licensed pilot and flight instructor Trey Hayden and depart from McCampbell-Porter Airport or Mustang Beach Airport. 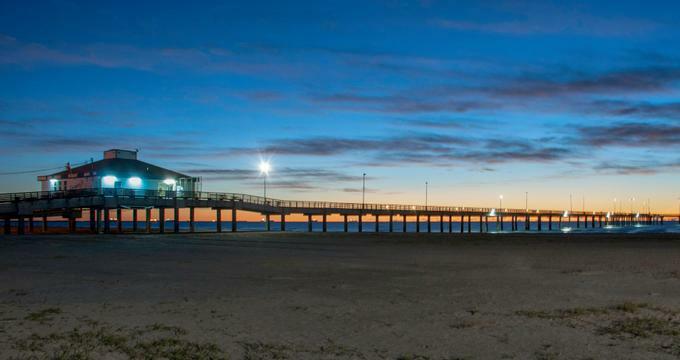 Half-hour flights showcase the city’s Intracoastal Waterway as well as many of the sights of nearby Corpus Christi, such as the Texas State Aquarium, Whataburger Field, and the USS Lexington. The Brewery is Port Aransas’ premier brewpub, offering in-house brewed beer and standard American bar fare. The restaurant was fully renovated in 2015 to highlight a unique Texas vibe in a classic sports bar environment with a range of full-grain Grade-A brews on tap, featuring Texas hops and other locally sourced ingredients. Menu highlights include hand-tossed brick-oven pizzas, jumbo chicken wings, and bangers and mash. Ten high-definition big-screen televisions throughout the restaurant provide viewing opportunities for all major national and international sporting events. Catering and private venue space is available for private special events, accommodating groups as small as 10 or as large as 1,000. The University of Texas Marine Science Institute is the Texas Coast’s oldest and most prestigious marine research facility, founded in 1892 to study the region’s unique marine flora and fauna. The facility’s permanent marine laboratory was established in 1946 and featured two buildings that still stand today as part of the institute’s campus. Today, UTMSI’s Marine Science Education Center serves as the institute’s public educational museum, offering seven aquarium exhibits showcasing the marine life of varied Texas coastal ecosystems. The Estuary Exploratorium teaches visitors about the environment of local estuaries, while the Wetlands Educational Center offers opportunities for waterfowl and marsh birdwatching. A wide variety of public outreach programming is presented, including guided tours, educational field trips, children’s camps, and a lecture series. Whooping Crane Boat Tours take visitors to the Aransas National Wildlife Refuge, a 114,657-acre natural preserve located along the southwestern side of San Antonio Bay. Tours are offered between November and April aboard the Wharf Cat, which seats up to 84 tour participants and offers the highest observation deck of any vessel operating in the region. All trips are narrated by Texas Master Naturalist and Ornithologist Ray Little and offer opportunities to spot the majestic whooping cranes, an endangered species native to the area. Beginner and expert birdwatchers can experience up-close encounters with cranes as part of shallow water tours. Food and beverages are served at a concession area throughout the tour, which lasts between 45 and 90 minutes. Private tours may be chartered for groups of 10 or more with advance reservations.